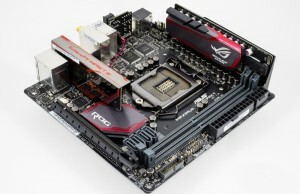 Flagship motherboards are always interesting. On them in the first place all the forces sent when a new platform, it is in their first meet with the real world the fruits of the boldest thoughts engineers. 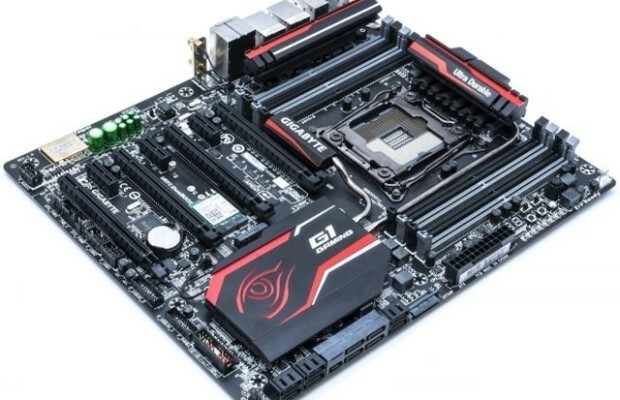 These motherboards have to defend the honor of the manufacturer in dangerous battles with the likes of them, easily solving all their tasks and passed a stern test after another. So it looks from the outside. But we know that the perfect product release is virtually impossible. Someone forgets something, at first glance, a minor in an attempt to get an outstanding result, someone deliberately sacrifice the necessary functionality to make some incredible improvement for quite ordinary member. This contributes to the approach to the assessment of not only a series of adjustments, but also a fair amount of subjectivity. In the board, we want to present you today, for example, interface M.2 did not get the maximum possible number of bus lines PCI-E, but it can use all available lines PCI Express 3.0 for what it really succeeded, – organization of the ligaments multiple video cards. Of course, all the other attributes of a leader when it – powerful power converters, eight slots for RAM and even 802.11ac-adapter included. And she also has the most flexible in configuration interface UEFI from all X99-boards, with whom we were dealing with. In general, if you are interested in the remaining 96% of the information on the board, we suggest you read the review. support XMP (Extreme Memory Profile) 1.3 / 1.2 / 2.
exchangeable operational amplifier (installed TI Burr Brown OPA2134). 1 × Killer E2201 (Qualcomm Atheros). × 3 slot PCI Express x1, mode x1, Gen 2. NVIDIA 4-Way / 3-Way / 2-Way SLI. 1 × M.2, bandwidth of 5 Gbit / s (actuated under the Wi-Fi adapter). Support for RAID 0, RAID 1, RAID 5, RAID 10, and Rapid Storage technology is available for ports SATA3_0-SATA3_5. 6 × USB 2.0 (2 DAC-UP-port on the back panel, 4 ports are connected to the corresponding connectors on the system board). 8 × USB 3.0 (at the rear). 1 × switch Dual BIOS (on / off). I / O-controller IT8620E and IT8790E. BIOS 2 × 128 Mbit UEFI BIOS with graphical user interface (SD / HD / Full HD). Useful addition to advanced users will block diagram that allows to understand the peculiarities wiring board. The motherboard comes in the form factor of E-ATX and comes with a lot of accessories, so the impressive size of the box does not seem to be deliberately inflated. Rather reserved for game design decision is respected. On the outside of the package to us looks brand eye, allowing accurately attributed to a series of charges G1 Gaming. Those who have not previously encountered this part of the product GIGABYTE, guess its special positioning a little later, when they open the box. This practice of presenting the product “face” peculiar motherboards top division, to which, no doubt, and refers X99 Gaming G1 WIFI. Turning the box, the potential owner will see that no one square centimeter of the PCB is not wasted – the image of the motherboard literally carved arrows pointing to one or another of its feature. The most important, interesting and unique in many ways re-mention was awarded to the left side of the box. Specifications remained only a small corner at the bottom right, but together with the additional information written there is quite enough to get a complete picture of the board. As previously visited our test lab GIGABYTE GA-Z97X-Gaming G1 WIFI-BK , payment and delivery are packed in individual cartons. It seems quite logical, especially when you see how much you get in the bargain. splitter cable for connecting to EATX12V additional power. Clearly there is a desire manufacturer to foresee all possible modes of operation of his creation: as in a variety of multi-GPU-configurations, and under extreme overclocking. On our side, such an approach can not be assessed other than on the fine. Most attention is paid to the board at least, it is felt everywhere: on appeal matte black PCB to carefully drawn bends heat transfer tubes.Massive radiators connected to, do not look as something alien, thanks to one and a half centimeters more (relative to standard ATX-boards) width. The overall layout raises no objections – at first glance is quite convenient. 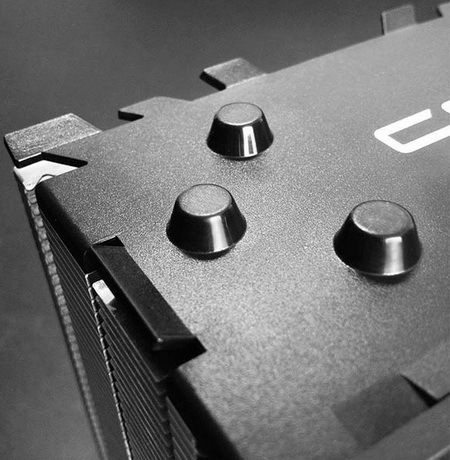 Picture of the back of the card allows you to make sure you have the four cross-cutting (but closed plastic bezel) holes around the CPU socket. This suggests the possibility of using proven coolers for LGA1366, if their attachment will not conflict with those furnished in accordance with the standard in most of the metal frame. Also, we see that two of the four PCI Express x16 slots are full set of lines. They are located with a huge interval that allows the use of a pair of cards with all imaginable and unimaginable cooling systems. Isolating path empty PCB long been regarded as a matter of course, but do not mention it, we can not. Especially in view of the fact that it clearly visible along the LED lights – will be bright. In the lower right corner you can see a mark that tells the application vosmisloynoy PCB. As befits a flagship solution, built on the platform LGA2011-v3, board offers eight 288-pin memory slots and four-channel type DDR4 access to installed them in modules. Officially declared support for up to 64GB of RAM with no error correction at frequencies up to 2133 MHz inclusive. In addition to conventional modules are supported register RDIMM. Not far from the main power connector is an indicator of POST-codes, some useful buttons and much-loved overclockers point for measuring voltages. Let us examine each element in detail. The ability to display POST-codes – not the most necessary thing for the motherboard, but it certainly will come in handy during overclocking experiments. Do not even try to avoid dispersal – X99 Gaming G1 WIFI his whole appearance indicates that it is ready to unleash the potential of any processor. Knowledge of the exact cause of failure in this case can save a lot of time and nerves. Buttons on the card turned out to be as many as four. With your permission, we consider them from right to left. The first (at the appointed inspection procedure, and in order of seniority) is large and comfortable power button. Besides the fact that it is integrated LED indicator lights up when the system is, it has a very nice tactile feedback – like the attention to detail we have already noted in the review ofGIGABYTE GA-Z97X-Gaming G1 WIFI-BK . At least someone cares about the user experience with the product, remove the hat. Next to the exemplary power button nestled easier Reset, which, thanks so prominent neighborhood, very easy to find by touch in the dark.Next comes the button CMOS_SW, which will also save time in the experiments, but somewhat different than POST-indicator method – quickly bringing the system to life. Finally, the last in the series was a button DTB, including a computer with automatic entry into the BIOS or designating input on the next boot, if the system is already enabled. Looking at the list, it is easy to verify that it consists entirely of the voltage supplied to the various power converters board. In other words, we can learn, for example, the voltage at the input to iVR CPU Vcore but the value will remain anonymous to us. The motherboard has seven expansion slots PCI Express. 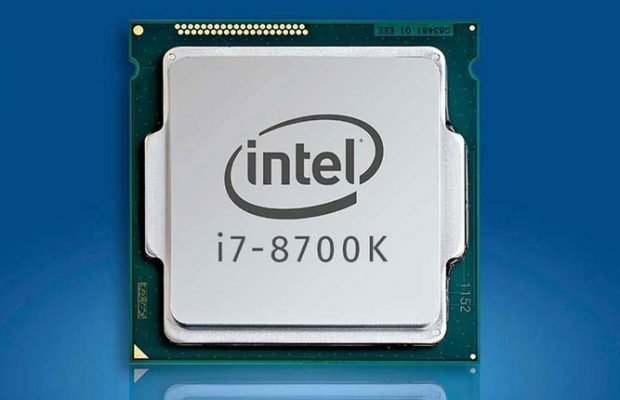 Four of them are connected to the processor and intended for graphics cards.Despite the fact that the processors Haswell-E deficiency in the number of lines PCIe-felt considerably less when using Core i7-5820K you will be limited (if it can be called restriction) 3-Way-configurations. Graphics card will need to be installed in the top three slots designated as PCIE_1, PCIE_4 and PCIE_2. Need to connect them with the help of a hard bridge labeled GC-3SLI. Each card will receive an eight PCIe lanes of the third generation, and four remain for the lower (PCIE_3) slot. When using the more expensive Core i7-5930K and i7-5960X location of graphics cards will be different. The fact that the video card is installed in the slot PCIE_2 four switches NXP takes eight lines of the upper PCIE_1, half by limiting the bandwidth of both ports. That’s why with the motherboard is the second elongated SLI-bridge labeled GC-3SLI-X99, allows the use of sorokalineynyh processors to the maximum. Cards that are installed in slots PCIE_1, PCIE_2 and PCIE_3, distribute line at a better formula x16 / x16 / x8 – works so-called switchless design. 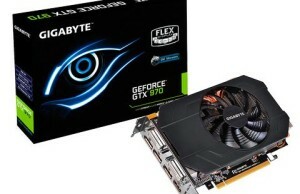 Two graphics cards to be installed in connectors PCIE_1 and PCIE_2. The first card in this case will always be a full-bandwidth interface, and the second, depending on the processor can receive the same conditions, or be content with only half the speed. The configuration of the four video cards, obviously, is only possible with “full” processors with forty lines. Remembering about the features of teamwork top two PCIe-slots, we obtain the desired formula for such a bundle: x8 / x8 / x16 / x8. It is easy to notice that the third slot in the order when working with Core i7-5930K and i7-5960X always gets 16 lines. As easy to calculate that in the last formula the sum of all slots reaches 40. For this we must thank very competent wiring lines PCI Express, which uses 100% bandwidth configurations with 3-Way and 4-Way. Note that when using these ligaments is desirable to connect additional power connector ATX4P, located between the SATA-port and the main power connector. His shoe is made compatible with a standard power connector SATA-devices, so no problems can arise. Great news for active users other expansion cards will be that all three PCIe x1 slots are available continuously and at full strength – no sharing of resources with additional controllers here. Looks very interesting solution with two slots M.2, located very close. It turns out that they are at different levels, allowing you to install the drive directly over an occupied slot. It should be noted that none of them are not connected directly to the processor. On the one hand, this is good – simplifies board layout, as there is no need to divide the available PCIe-line slots. On the other – the connector M2_10G, the capacity of which is easily guessed from the title, can not offer an impressive 32 Gb / s, as some competitors. Supported drives are limited to two sizes: 2260 and 2280. The specification describes and 2242, but it is not clear how it will be fixed – no mounting hole. Located underneath M2_WIFI, if you ever decide to get rid of a first-class wireless adapter, and all ready to accept only payment in 2230 and is limited to five gigabits per second (ie one line interface, PCI Express). Most likely, the possibility to use the lower slot M.2 and remains only possible because it is pre-occupied 7260NGW card from Intel, and not some worthless gag. This is a modern dual-band (2.4 / 5 GHz) 802.11ac-solution provides support for wireless Wi-Fi-networks at speeds up to 867 Mbit / s. A nice addition would be the Bluetooth version 4.0. Continuing the theme of work with hard drives, consider the lower right corner of the motherboard. The maximum number of connections to SATA 3 devices can be up to ten, but there are limitations. Because the two pads are part of port SATA Express, when using such a disc number of available ports is reduced to eight. Situation again, if you install the drive into the slot M2_10G. Thus, we conclude that the simultaneous use of 3 SATA ports numbered 4 and 5, SATA Express and M.2 impossible. Available will be just one thing on this list. Also, we should mention that, because of the chipset Intel X99 two separate controllers, black port labeled sSATA3_0 – sSATA3_3, only supports IDE and AHCI – RAID-arrays and Rapid Storage technology is available for all other (gray) ports . USB 3.0 ports on the motherboard are distributed fairly rational. At the rear, thanks to two “chipset” port connected to a pair of hubs uPD720210 chips from Renesas, available as many as eight blue connectors. Strictly speaking, seven, since one of them is white (this is the port that supports Q-Flash Plus), but essentially it does not change – all the benefits of USB 3.0 with him. 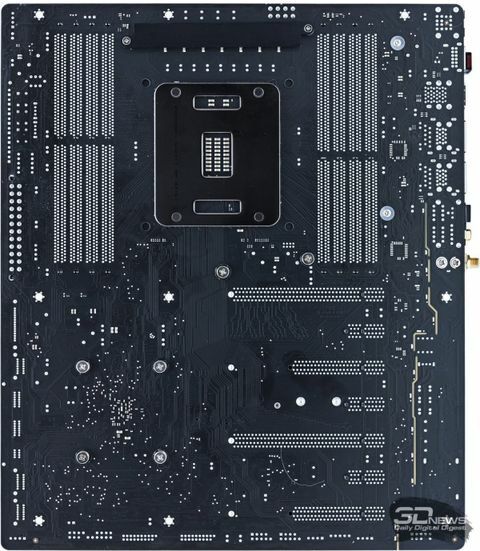 The remaining four of the six supported by the chipset X99 ports displayed in the pads on the board and are designed to connect to the front panel or the appropriate knockouts in the three- or five-inch bays. USB 2.0 in the flagship solution is clearly not in favor, so the panel interface are only two. But they are connected to high-quality power supply to minimize the noise and ripple. These ports will be used to connect external analog converters for which they were given unambiguous name DAC-UP. Four additional USB 2.0 ports can be obtained using two pads on the board. In addition to the removable wireless adapter, this motherboard contains two controllers wired networks. High-I218-V chips from Intel and Killer E2201 from Qualcomm Atheros is responsible for two RJ-45 ports, retired rear panel interfaces. In addition to good hardware component, the board is bundled proprietary software for traffic prioritization. Finally, if you somehow miraculously manage to spoil the firmware on the main and on the backup chip technology comes into play Q-Flash Plus. Simply plug the USB-drive with the firmware image to the white port USB, and the motherboard will start the recovery process. Even without a processor and memory: thank a IT8951E. Audio section of our guest today looks very similar to the aforesaid at the GA-Z97X-Gaming G1 WIFI-BK and even has the same name – AMP-UP. 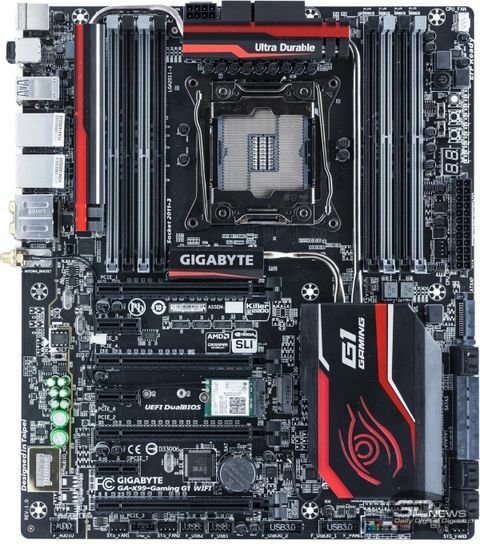 Like the top-end LGA1150-cards, GIGABYTE GA-X99-Gaming G1 WIFI allows you to change the operational amplifier. And it is not so important that it will use the unit – this “feature” is practically worthless (because its implementation is very, very easy), but almost one hundred percent guarantee laudatory references to the relevant reviews. So we could not resist – praise. By default, the crib is preset operational amplifier Burr Brown (OPA2134) from Texas Instruments, provides a neutral color the sound. In the future, you are free to leave it at that, to seek the appropriate OU yourself or trust the taste of engineers by GIGABYTE, have prepareda selection of the most interesting, in their view, members of this family of chips. The possibility of replacing the operational amplifier – is not the only thing that drew attention to the design of the board. To ensure maximum protection against high-frequency interference entire audio part, dealing with analog signals, was isolated from the main body components. In addition, the maximum length of the conductor was shortened, that reduces the amount of highly inductive noise. Stereo (which is the basic rate) also underwent optimization – left and right channels are located on different layers of the PCB. Add to that a set of special capacitors “audiophile” series produced by Nichicon and a separate headphone amplifier DRV632 by Texas Instruments (useful owners models with resistance to 600 inclusive) to get an almost complete picture of how it sounds. Almost complete, because the most important point was the inspection – audio processor. Of course, the board could not use the budget codec, so under a metal lid with gold-plated settled Sound Core3D from Creative. By the way, the standard 3.5-mm audio outputs on the rear panel are also covered with this precious metal. The card is possible to find a software solution SBX Pro Studio Audio Suite, which allows to fully utilize quad chip Sound Core3D. I almost forgot to mention that next to the op-amp switch is used to select the gain. Owners of ordinary headphones touch it is not necessary, but the owners of high-resistance “monitors” are likely to be able to feel the difference. And it’s not all the surprises that gave us a small isolated section of the PCB. To the left channel connected additional circuit that controls the brightness of the backlight own motherboard and plug the rear panel of electrified interfaces. This allows you to change the brightness of the glow depending on the volume of playback sounds, creating familiar to each of us the effect of “light music”. This dependence is linear, as evidenced by the complete omission of all the lights when setting the volume. Advance hasten to reassure you that the maximum volume of the left channel, and even more so on the overall quality of sound is not affected – all the benefits of advanced audio section will remain intact, and the sound does not lose its appeal. In addition to the above illustrated regime, which in the English version of the interface utility called Ambient LED Beat, there are two more: Freeze and pulse. Freeze aka Still Mode, activate continuous light with maximum brightness. Pulse aka Pulse Mode causes the lighting equipment on board smoothly change the brightness from zero to maximum and back. Of course, the possibility of completely disconnect own lighting board and the area I / O, but will rise if you hand to repay this beauty? IT8620E chip serves as the Super I / O, and is located next to it IT8792E expands its functionality (presumably in terms of fan control and advanced features for overclocking). Easy to see that both chips are made by ITE, but just in case we mention this fact in the text. 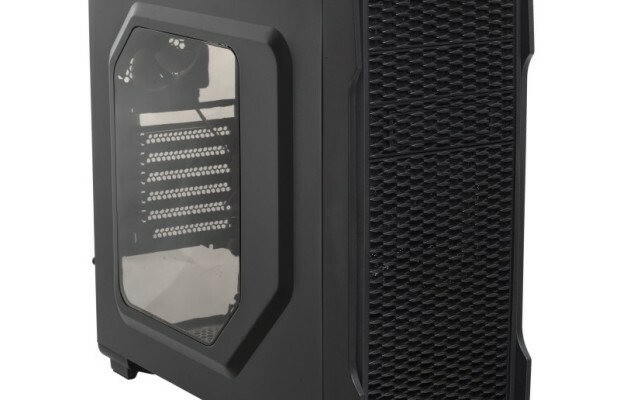 As a result of their collaboration is collecting data about the temperature from several sensors and speed control of the five fans: three system and two for the CPU cooler. One of the “processor” pads (labeled CPU_OPT) using water cooling system should be employed to power the pump. If the main content of the rear panel does not cause problems, then settled on the three buttons on it, we should dwell. 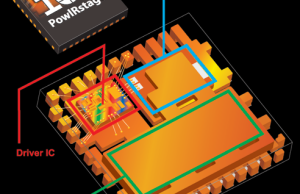 The first one – the smallest – Clear CMOS. We do not know who first came to mind the idea to bring this function on the panel interface board, but a great human thanks to him. Overclock their computers fully assembled (and there are, oddly enough, the majority) will appreciate the convenience of this decision. The second button starts and stops the technology Fast boot – and its importance can not be overestimated, because when you activate this mode, the user can not enter the UEFI BIOS without special tools like Reboot to UEFI. The emergence of such a button on such a convenient location instantly solves this problem. Finally, the third button is coated with a letter OC increases the CPU frequency. Thing is for novices and overclockers lazy theorists. Among the abundance of needle conclusions hid three, four-prong system fan and a pair of temperature sensors. By the way, considered the many photos of the motherboard GA-X99-Gaming G1 WIFI, did you notice that near all the fixing holes are practically no small elements that can damage the screwdriver? It turns out that even GIGABYTE think over such trifles. Extra power is supplied through the Eight-connector EATX12V in the corner of the board. Thanks to the supplied hub, you can connect as many as three corresponding “spit” on the block (or blocks) of power. CPU VRM is made to disseminate advanced digital circuit boards vosmifaznoy. It is based on well known to us PWM controller IR3580 from International Rectifier, honest supports eight phases. Then it becomes interesting, because on this board have been applied new PowIRstage IR3556 from International Rectifier. If you believe the documentation, we have before us a completely unique solution – both in the aggregate performance and capabilities for control. If the description reduce to the minimum possible, these highly integrated (driver pair MOSFET-transistors, Schottky diode) chips capable of saving electricity at low loads, while providing necessary currents up to 50 amperes per phase. Not far behind them and chokes with capacitors. First manufactured by Cooper Bussmann and ensure the reliability of server-level, high saturation currents and low heating. The latter are extremely pathetic name (Long Lifespan Durable Black Solid Caps) and used to hear in his address only positive promises like “the highest quality”, “maximum efficiency”, “ultra-low ESR». In addition to all these positive qualities they have and live by more than ten thousand hours. The socket has no auxiliary contacts, but all the covered six times the amount of gold than the “average” of the board. In numerical terms, the layer thickness of 30 micrometers. As thoroughly gilded contacts in the PCI Express slot and memory. The power subsystem memory uses just two PWM controller IR3570A, control pairs sorokaampernyh PowIRstage IR3553. Their main feature is the peak efficiency attributable to the voltage of 1.2 volts (a fortunate coincidence, is not it? ), Slightly more than 93%. By the way, one of the frames can be found transistors SiRA14DP from Vishay Siliconix, is the second part of the power subsystem memory. They give you the most stress in nominal value of 2.5 volts, which can be measured on the test points and VPP25_A VPP25_B. Given that this is an urgent need for DDR4 memory type and such decisions will occur on all boards, to dwell on them makes no sense. Cooling system, corresponding product positioning, scale and looks thoughtfully. You will not find it on the fittings for connection to the circuit water cooling system, but the available space and weight radiators should more than enough to dissipate heat and power from the inverter and the chipset. As you can see, the cooling of components is carried out by four radiators, heat-conducting tubes are connected, respectively, to dismantle them only once. The total mass of the structure reaches an impressive 360 ​​grams. Direct contact with the cooling element has only two main heat exchangers. Note the wire to a suitable heat sink – it is necessary for the functioning of the backlight. When stress testing VRM cooling system board proved to be excellent. In many ways, of course, is the merit of high efficiency IR3556, but we appreciate the team result. Not shelving, present the results: the main radiator warmed up to 43 degrees, up to 42 additional, and one that cools the chipset, showed a temperature of 40 degrees Celsius. And all this in the absence of an external blow. From this we can conclude that the heat pipes are used very effectively distribute the load between the elements of the cooling system. All measurements were made with an infrared thermometer at ambient temperature of about 24 ° C.
On the last image of this section, you can see the motherboard devoid of the cooling system.